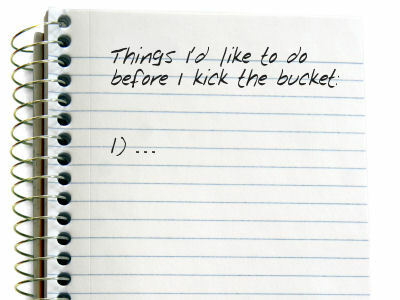 I’m working on my bucket list (aka things I want to do in my life). I have oodles of scattered mental notes of things I want to do. Well, it’s time to get all of those mental notes in one place and on paper. No worries if I can’t get everything crossed off or if they’re unrealistic. Dreaming is part of the fun. I’m done with P90X. I never actually completed all 90 workouts in 90 days but I figure I got all 90 workouts done somewhere in the span of a year. 😉 I actually restarted the program a couple of times but kept getting stuck around the 7th-8th week. It was hard to make the commitment to continue working out when I was bored with the workouts. I also kept getting sidetracked with other things. I decided to give Insanity a try since it’s a shorter workout program (63 days). I do like how the workouts are shorter than P90X but my biggest complaint is that it doesn’t seem to focus on the core/upper body as much as I would like. There’s a lot of cardio so we’ll see if that improves my endurance any. I definitely sweat a lot during this workout! Sweat gets everywhere….in my eyes…in my mouth….on the floor! I could see myself doing a sort of P90X and Insanity hybrid workout program at some point. They both have pros and cons. Just need to figure out how to combine the pros from both workouts to make an excellent workout program. It has been hard to stay with running in this heat wave and all the Insanity cardio I’m doing. I am still trying to get short distances in here and there. I figure a 1 or a 2 mile run is better than nothing. I participated in a 5K walk/run with Dennis, Shane, and Seth last Saturday. It was downtown KC at 7pm on one of the hottest day of the year. The heat index was about 107 degrees F! I ended up having to walk half of it (finishing in about 36 minutes) but was just glad I was able to finish it in one piece. Sometimes I think a 5K walk/run can represent things we go through in life. There are a lot of challenges, uphills, downhills, times where you wonder if you will make it, easy times, etc. Between the time I got my CI last year (March ’09) and around August ’09…there was NO way you could get me to even think about going bilateral. One CI was enough for me. I was extremely overstimulated and overwhelmed. However, I have to confess that for about a year I’ve been toying around with the idea of going bilateral. This is something I have to research first. Frankly, I’m not sure if I really want to go through the whole surgery thing again. The risks, even though they’re low, are real. If it wasn’t for the whole surgery thing, I would have seriously considered going bilateral earlier this year. I do really miss hearing out of both ears. Whenever I wore hearing aids, I always wore them in both ears. I think it’s time to give the good ol‘ bimodal setup (HA + CI) yet another try. This will be my 3rd attempt. The first time was about a month after I was activated and I could only tolerate it for a few days. The second time, I could only take it for half a day. It’s just bizarre to hear things in 2 totally different ways at the same time. I guess I have to keep telling myself that I just need to stick with it and give my brain a chance to adjust to it. Eventually, my brain will (hopefully) learn how to incorporate sounds from the CI and HA to form one sound. I spent the first part of this summer volunteering at a local school. I’m not going to go into much detail here for obvious reasons. However, it was fascinating interacting with such a diverse group of junior high school deaf/hoh teenagers. The group ranged from a hoh teenager who could “get by” without hearing aids to a culturally Deaf teenager who came from a Deaf family. There were teenagers who wore CIs and preferred to sign, teenagers who wore CIs and preferred to speak, teenagers who preferred not to wear CIs/HAs, etc. There is no one “right” way that fits all deaf people just like there’s no one “right” way that fits all hearing people. We are diverse. What works for one person may not work for the next. Anyways, I forgot how much I enjoy learning from kids and how much I enjoy volunteering. So now I’m looking for another place to volunteer at. I’m checking into local animal shelters and Special Olympics. I was never a big fan of video games growing up but I did own Nintendo and Super Nintendo. I enjoyed playing video games for about 15 minutes at a time. I just wasn’t one of those kids who would sit in front of a TV and play for hours and hours. I didn’t even know you could finish video games. In my 6 year old brain I thought they were never ending games. I didn’t realize it until my older cousins would complete them for me whenever they spent the weekend. I always had fun checking out the new levels that were unlocked. To this day, I have never completed a video game. I decided to hook up my Nintendo and Super Nintendo yesterday. There’s just something about 8-bit video games that makes me smile….well…until Mario dies in flames. I think I actually squealed out loud with excitement when I confirmed that everything still worked! I forgot how small…and… rectangular the controls are with so few buttons. Ah, the good old simple life. The thing that surprised me was that I remembered all the secret tricks and secret boxes that I used to know. The funny thing is I found that I would die in the exact same spot that I used to have problems with. I guess my gaming skills haven’t improved with age. I found myself giggling whenever Mario got those special fireball powers and flying skills. I found myself pushing harder on the control whenever I wanted to jump higher (like that really helps). I remember so clearly how much my parents used to play with my Nintendo. Sometimes I would sneak downstairs when I was supposed to be asleep only to find my parents sitting on the couch playing Nintendo. I think they played with it more than I did. I owned Mario Bros. 3 which was my favorite game for a couple of years because there was an ice world and Mario could fly! I had the chickenpox when I was about 5 or 6 years old and I was stuck on the couch so my parents rented this game from a video store. I played it often enough that I eventually got it as a gift later that year. Ever since then…every single time I see something that reminds me of Mario Bros. 3…I remember when I had chickenpox and how Mario and Lugi (the poor neglected guy) rescued me from boredom. It’s just amazing to me how strong associations we create when we’re kids. How easy certain things come back to us even if it’s been years. Where would we be without the Mario brothers? P.S. Remember the dog that would laugh at you whenever you missed a duck or disc in Duck Hunt? The above comment is considered offensive coming from a culturally deaf person yet it’s considered a “compliment” coming from a hearing person. I never know how to react when someone tells me that. Is it a positive or a negative comment? Hope everyone had a fabulous (and safe) 4th of July weekend! I know I did. I’m back from being out of town. I went to Tampa, Florida last Tuesday and Wednesday to participate in a SEE2 study. I’ve never been to Florida so it was nice to get to mark off another state on my list. 38 down, 12 more to go! I got to see a bit of Tampa including the aquarium. I spent most of Thursday getting ready to go out of town again. 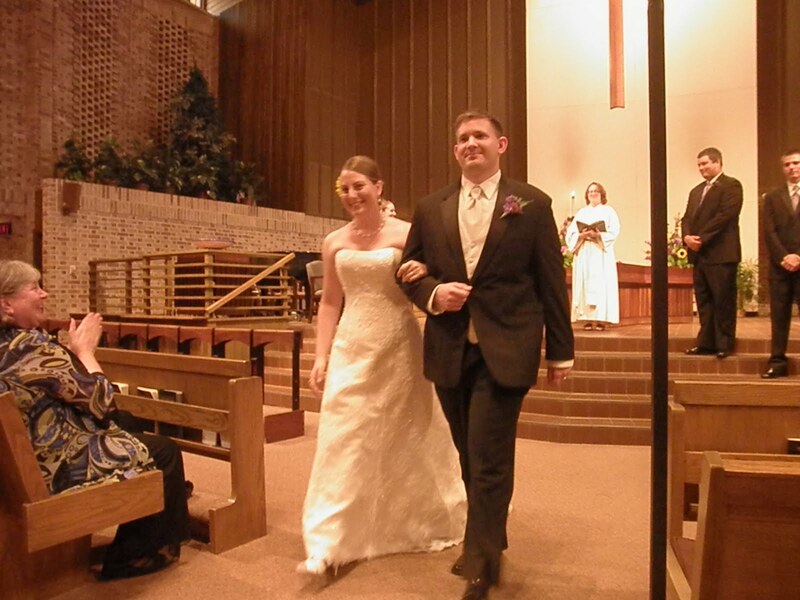 This time it was to St.Paul/Minneapolis, Minnesota for my cousin’s, Scott, wedding. Scott is an only child just like me. We’re also about 15 months apart and were always pretty close growing up. I always considered him the closest thing I had to a big brother. 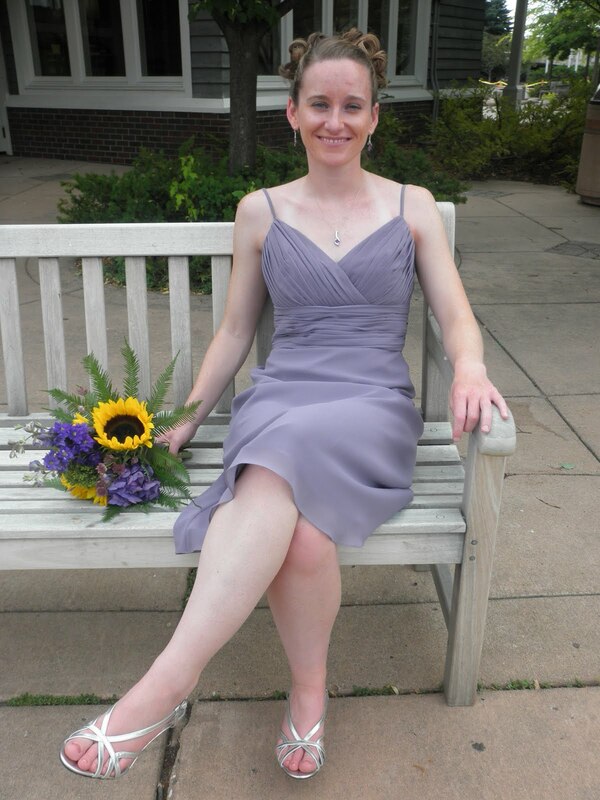 Scott’s fiancee, Christine, asked me to be their bridesmaid which I was honored to do so. They even had an interpreter present for the wedding and photos. 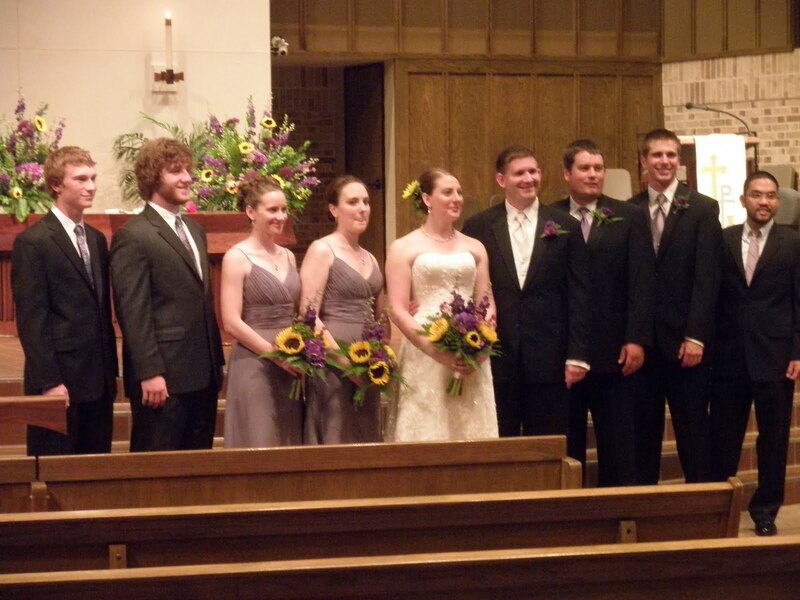 It was AWESOME to feel 100% included in a family member’s wedding. My mom oftentimes try to interpret family weddings but I always feel a bit guilty…I want her to be able to relax and enjoy the wedding. It is a bit hard because I miss out on information when I look back and forth between the stage and my mom (since we’re both out in the pews). In this case, I was able to see everything all at once. 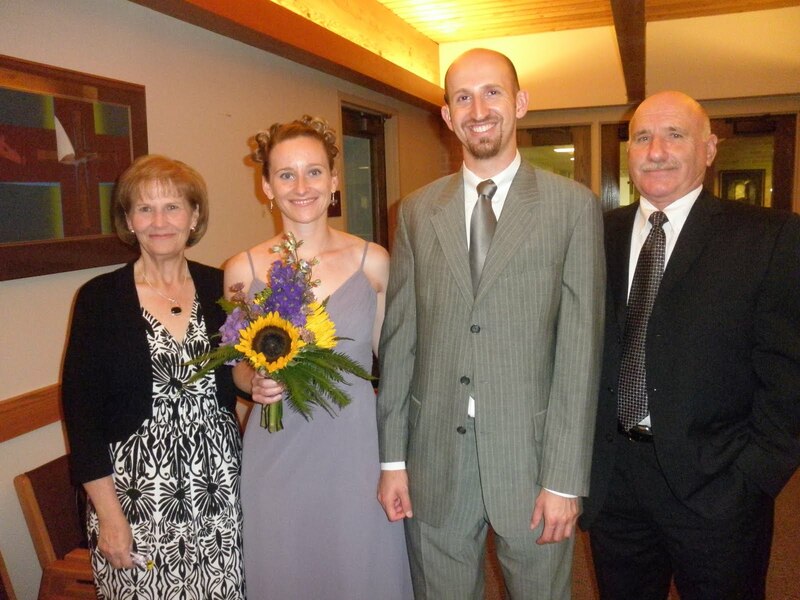 My parents and I left Thursday night to make the 8 hour drive to Minnesota where we headed to rehearsal and dinner. After dinner, we met up with Dennis who was able to grab a flight from KC to Minneapolis. We were able to take it somewhat easy Saturday morning after meeting up with the soon-to-be newlywed couple for breakfast. Dennis was kind enough to serve as a lackey for us ladies Saturday afternoon as we got our hair done and ready for the wedding. 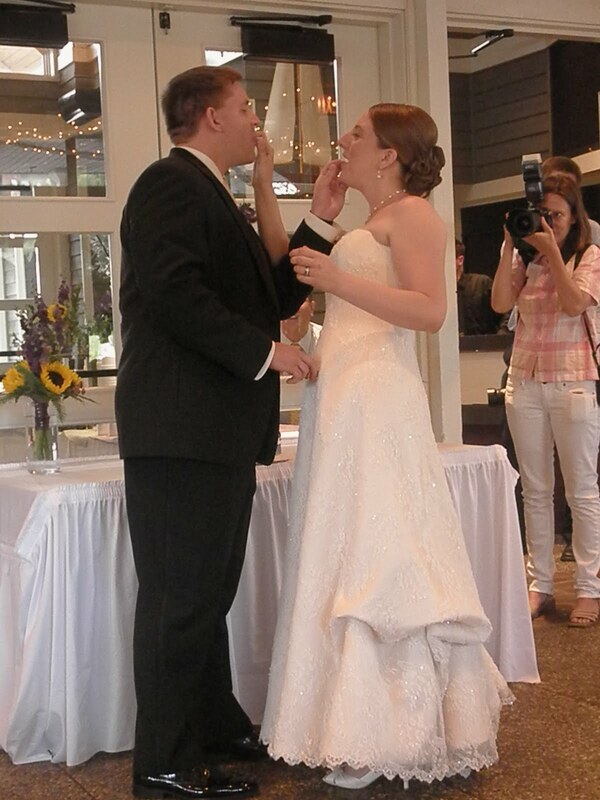 The wedding ceremony was beautiful and the reception was a lot of fun! 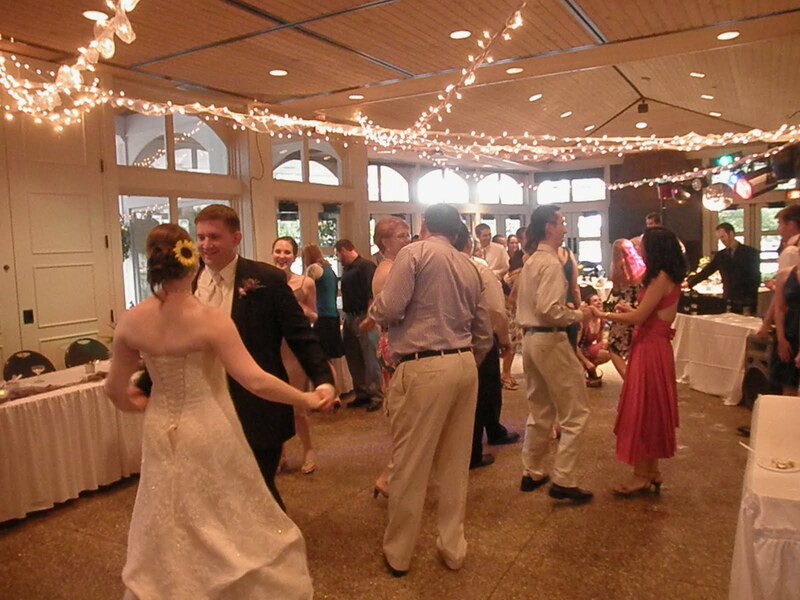 I enjoyed watching everyone dance the evening away all dressed up! We were all pretty exhausted Sunday morning and it took a while for us to get moving. Dennis and I walked around Minneapolis for a couple of hours after grabbing lunch. My parents were able to squeeze in a Twins baseball game. 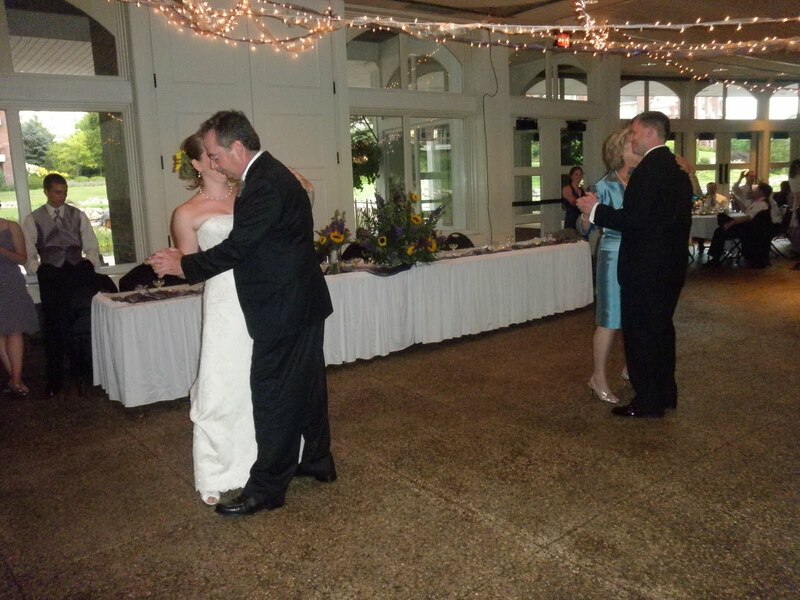 Everyone else did their own thing before meeting up for dinner later on. Dennis and I ended up seeing this awesome rope-like course at the Mall of America which we just HAD to do! We all had a family dinner at the Mall of America and went to St. Paul to see some fireworks. Boy, were we CLOSE! We were right next to the hot zone. 🙂 We headed back home this morning (Monday) and stopped by the hospital to say hi to my grandma. I think we all were pretty beat but had an awesome weekend and were glad we got to watch Scott and Christine get married. I’m wiped….off to bed I go!